Raising Buchanan, a dark comedy that Amanda Melby produced and stars in, will make its World Premiere at the 2019 Phoenix Film Festival. Filmed in and around the greater Phoenix and Prescott, Arizona areas in 2017, the film boasts a remarkable ensemble cast of 28 speaking roles. Bruce Dellis is the writer-director and Joe Gruberman also produced with Melby. René Auberjonois, Amanda Melby, Cathy Shim, Robert Ben Garant, Terence Bernie Hines and M. Emmet Walsh are the main cast. Synopsis: In suburban Phoenix, 40-year-old Ruth Kiesling is not exactly “living the dream.” She’s a donut shop employee with anger issues. Ever the opportunist and desperate for money, she “steals” the body of President James Buchanan hoping to ransom him for a nice windfall –– but she’s surprised to discover that no one seems particularly interested in getting him back. OUROBOROS playing at the 2015 PHOENIX FILM FESTIVAL! 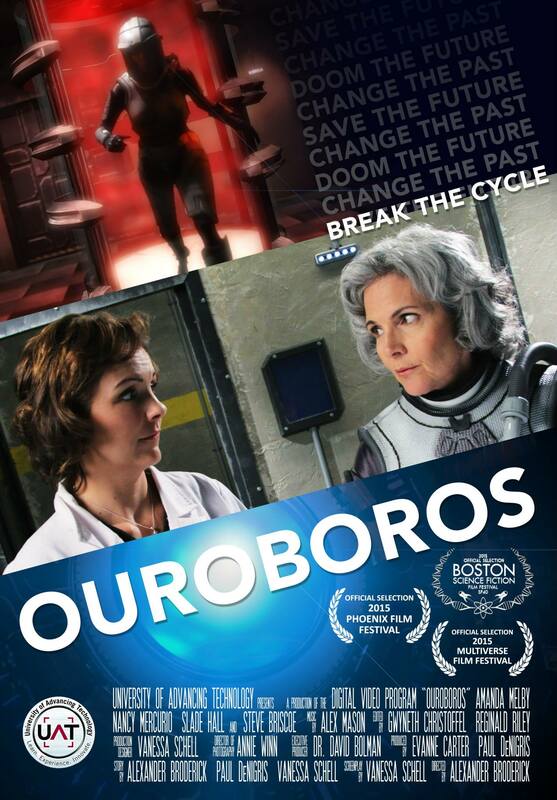 Amanda Melby stars in “Ouroborous,” a sci-fi drama about a Scientist (Melby) who inadvertently discovers time-travel. Nancy Mercurio plays the future version of Melby’s character Dr. Faye O’Neill. 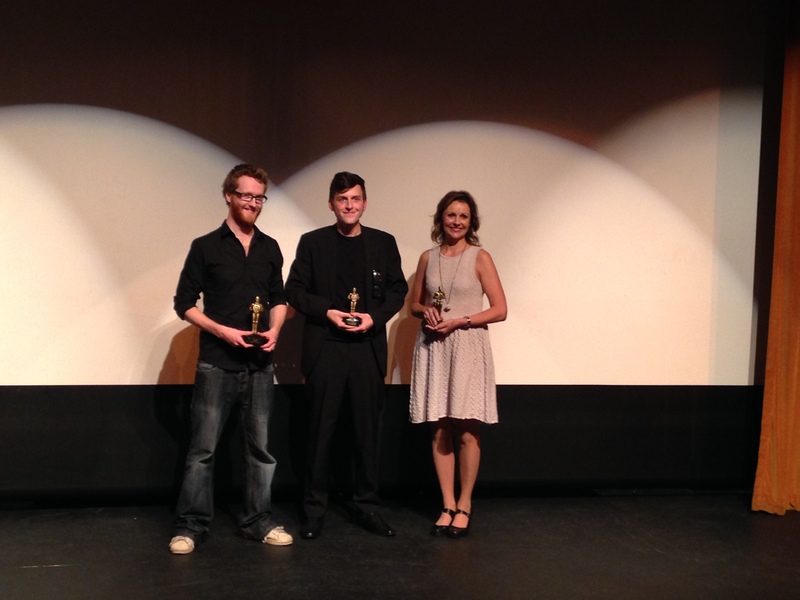 Paul DeNigris wrote the script for Melby and Mercurio with student UAT Alex Broderick directing. It screens on Saturday, March 28 at 11:15 am AND Sunday, March 29 at 4:45 pm at Harkins Scottsdale 101. IT IS STRONGLY ADVISED TO GET TICKETS AHEAD OF TIME! 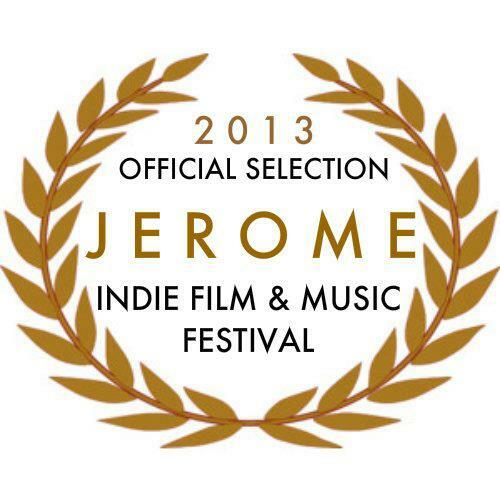 “Path to the Presidency,” “The Science of Friendship,” AND “Got Talent,” the films from the 2012 Verve Studios Film Acting Summer Camps, were Official Selections of the International Family Film Festival at the Raleigh Studios in Hollywood, CA!!! They played on Saturday, May 4, 2013. “Path to the Presidency” was a finalist in the Best Drama category and “Got Talent?” was a finalist in the Best Comedy category. Amanda Melby wrote and directed the films.